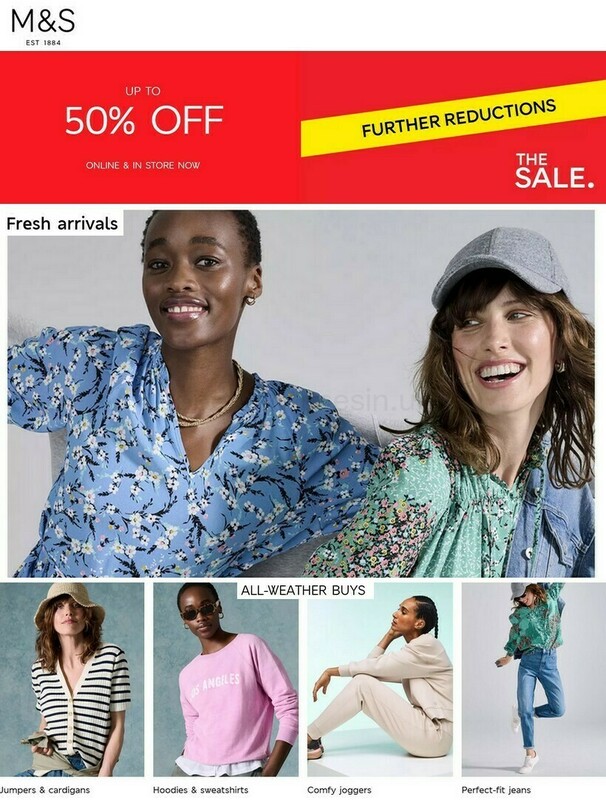 Marks & Spencer is located in an ideal place in Mander Shopping Centre at 19 Dudley Street, a 0.19 mile distance south-east of the centre of Wolverhampton (by University of Wolverhampton and Wulfrun Shopping Centre). The store chiefly serves shoppers from the districts of Springfield, Eastfield, Chapel Ash, Wolverhampton City Centre, Dunstall Hill, Park Dale and Heath Town. If you would like to stop by today (Thursday), its hours of opening are 8:00 am until 6:00 pm. This page will supply you with all the information you need about Marks & Spencer Wolverhampton, Dudley Street, including the open hours, store location, customer feedback and further pertinent details. Marks & Spencer is easily reached close to the crossroads of Castle Street, Market Street and Castle Yard, in Wolverhampton, West Midlands, at Mander Shopping Centre. This store is located within a 1 minute trip from Castle Street, Tower Street or Queen Street; a 4 minute drive from Stafford Street, Ring Road St. Johns, Ring Road St. Davids or Bilston Street Island; or a 14 minute drive from Junction 10 (Walsall Interchange) of M6. Sat Navs key: WV1 3EY. You can catch the buses to Market Street/Tower Street and Wolverhampton Bus Station. Your service options are 2, 5, 6, 9, 10, 11, 22, 25, 27, 32, 33, 50, 53, 54, 57, 59, 62, 63, 64, 65, 69, 79, 81, 82, 89, 126, 154, 255, 256, 529, 530, 891, 5A, 6A, 10A, 10B, 26A, 27A, 28E, 62A and National Express. You may get on or off a tram at Wolverhampton St. George's (600 ft away). Trains stop right at Wolverhampton Station (1710 ft away). Select from the following lines: CrossCountry, London Midland, Virgin Trains or Arriva Trains Wales. On foot there is Molineux Stadium, Woden Primary School, East Park, Wulfrun Shopping Centre, Mitre Retail Park, West Park, University of Wolverhampton and St. Johns Retail Park. The total number of Marks & Spencer branches currently open in Wolverhampton, West Midlands is 1. Go to the following page for the entire index of all Marks & Spencer locations near Wolverhampton. Please note: legal holidays may bring about restrictions to the common hours of business for Marks & Spencer in Wolverhampton, Dudley Street. In 2019 the changes are applicable to Xmas Day, New Year's Day, Easter Sunday or Early May Bank Holiday. To get more info about seasonal hours of operation for Marks & Spencer Wolverhampton, Dudley Street, go to the official homepage or phone the customer service number at 0333 014 8555. While visiting Marks & Spencer, please go see the other fine quality stores in Mander Shopping Centre. In this spot you can also find The Entertainer, Next, Debenhams, H&M, Poundland, KFC, Santander, SUBWAY and a few others. We are working to provide you with the most accurate information as possible. In the event that you find discrepancies in the contact info or business hours for Marks & Spencer in Wolverhampton, Dudley Street, please make use of this form to report a problem. Please feel free to support potential patrons by expressing your comments on Marks & Spencer in the space provided below.